Fans of Big Daddy Weave will probably frown at me for this next comment. I actually know nothing about Big Daddy Weave and had never heard any of their songs. Shock Horror. I'm sorry. So this greatest hits, named 'The Ultimate Collection', is my first taste of this popular worship band. So it was time for me to have a quick history lesson, and this is what I found out. Read More Fans of Big Daddy Weave will probably frown at me for this next comment. I actually know nothing about Big Daddy Weave and had never heard any of their songs. Shock Horror. I'm sorry. So this greatest hits, named 'The Ultimate Collection', is my first taste of this popular worship band. So it was time for me to have a quick history lesson, and this is what I found out. I'm told this album includes all of their most popular songs including 'Every Time I Breathe', 'Audience of One', 'In Christ', 'Fields of Grace', 'Without You', and 'What Life Would Be Like. So this is my opportunity to hear these tracks for the first time, and actually from listening to this album I think I might have missed out on 10 great years of music. The fifteen tracks on the album have a distinctive American rock sound, with big powerful choruses mixed with lyrics of praise to God. Putting an album in a box of style isn't a thing I'm very fond of, yet it's very hard to get away from the fact that there is an obvious similarity to bands like Mercy Me, Third Day, Casting Crowns and a hint of Newsboys. I am sure I'm not the first person to make this comparison. 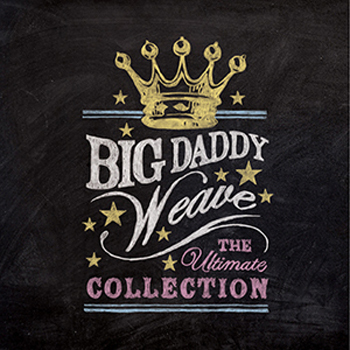 So in essence, if you're a fan of those kind of bands then Big Daddy Weave could be for you. As said, this is my first view of this band and at times I really enjoyed what I heard. As a collection of the band's best songs then you can't go wrong if you are interested in finding out about this long running band. You get everything you want or need in this album before you head out and check out their back catalogue. As greatest hits go, this is a very good showcase of the band.